Despite the ceaseless bitching of vintage car owners, It's not impossible to find a classic car both desirable and reliable. With your help, we've identified ten classic cars that will live on for ages with proper care. What&apos;s The Most Reliable Classic Car? Why It's So Reliable: The E30 came with a variety of engines that are seemingly bulletproof. The M20 engine that's in most E30s is a tremendous powerplant in terms of its engineering. The engine will support up to 20 psi of boost with modifications to the fuel system, engine map, and with proper head bolts. Mostly small things will start to break before the drivetrain does, but you can drive without a radio, right? Why It's So Reliable: The Citroën 2CV was not a fast car by any means (some said that it would get to sixty "in a day") and that it needed to "make an appointment" in order to merge onto a highway. No matter, the 2CV is quite a durable car and has been used for traversing some of the most inhospitable landscapes. Despite its meager power the flat twin engine will keep the 2CV chugging along until the body's thin panels start to rust away. Why It's So Reliable: The Plymouth Valiant's Slant-6 engine — basically an inline-six at a 30 degree angle — is a legend. It's nearly indestructible thanks to overengineering and proper design. In fact, the slant-six's reliability is one of its most well-known features. The Valiant's economy and reliability make it a dream daily driver for those who want some good old 'Merican steel. Why It's So Reliable: Known as the Corolla SR5 and Corolla GT-S here in the U.S., it has become synonymous with drifting but the non-drift version of this car, if you can find one that has not been abused by pseudo-drifters, is just like any other Corolla of this era. The AE86's 1.6 liter inline-4 will easily surpass 250,000 miles even with the abuse. A well maintained AE86 will go even further than that. Why It's So Reliable: The F150 has been one of America's workhorses for almost 60 years now and people continue to buy F150s for their their overall utility and toughness. If you were a contractor, or just someone who likes to transport a lot of stuff, you wouldn't want your work truck to conk out on you. Ford built the F150 "Ford Tough" and it shows in the vast number of F150s, dating back to the early 60s, still on the road today and still being used as workhorses. Why It's So Reliable: Just on the edge of qualifying as a classic, the XJ Cherokee was designed with a monocoque chassis, instead of on a frame, and made the SUV what it is today (which can be good or bad). Thanks to some Europeans at Renault, the XJ had some European flair (think Range Rover) and was dubbed the best SUV shape OF ALL TIME by Automobile Magazine. In addition, the I6 engines could live on forever, meaning that you could keep on going for hundreds of thousands of miles to work or off-road and look good too. Why It's So Reliable: We all know the story behind the Type 1, but that's hardly made a dent in the car's popularity. Over 21 million Beetles have been manufactured from 1938 to 2003 (65 years!) and many of them are used as taxis in Mexico. The air-cooled flat four in the Kafer's rear is surprisingly tough and will go over a million miles. The Beetle's odometer only reads to 5 decimal places, so rolling over is quite easy. I don't think the German designers of this car knew how easily the odometer would roll over more than 100 times. Why It's So Reliable: Top Gear has proven time and time again how indestructible the Toyota Hilux really is and here in the states the Toyota Pickup is no different. Toyota reliability was really something in the 80s and early 90s; I'm not really sure what happened. The Hilux comes in a variety of forms catering to all your off-road, hauling or transporting needs and under a variety of names depending on the market. In the U.S. we mostly know it as "the 80's Toyota Pickup." Why It's So Reliable: Good Morning! How about a W123 for a reliable car? What's not to love about the W123, especially in diesel flavors. Don't doubt the power of a diesel engine. On top of being a car that will last for ages, just mind the rust, the W123's diesel engines will keep burning oil for hundreds of thousands of miles. A few items might come loose here and there and there's always the wear items to replace, but with a little care the W123 will take you to work and maybe someday your child as well. Why It's So Reliable: This Swedish sports coupe will outlast any vehicle you own. 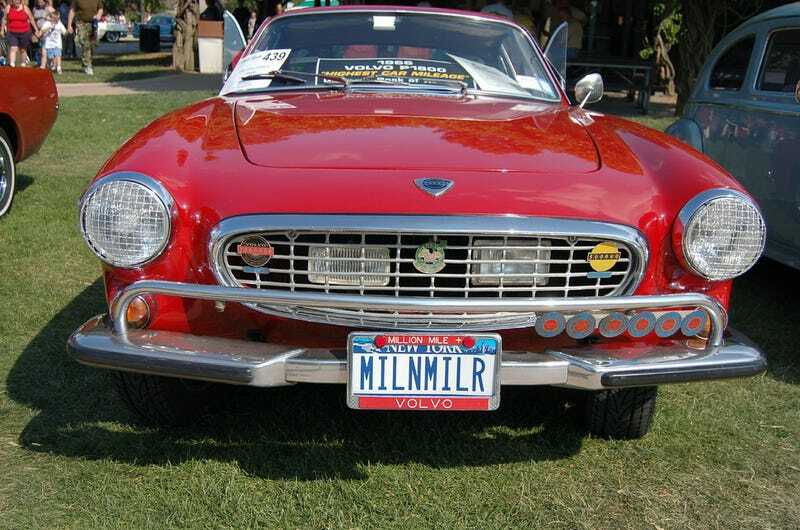 A man by the name of Irv Gordon in Brookhaven, New York was even able to take his P1800 to almost 3 million miles and holds the record for the highest mileage vehicle. If that's not a testament to Volvo reliability, I don't know what is.